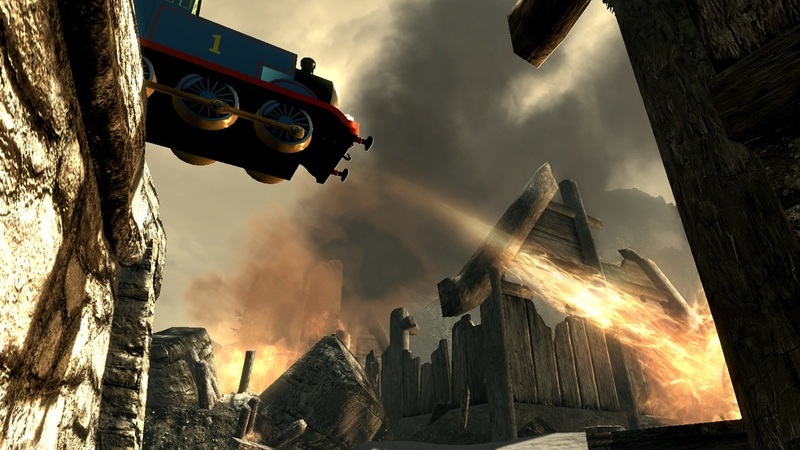 Every felt like your experience with Skyrim felt lacking without the presence of Thomas the Tank Engine? Well your prayers have been answered, as Pastaspace's mod turns every dragon into the cheeky little engine. It's a rather surreal experience! In what's called the "Really Useful Dragons" mod, all the dragons in Skyrim have been replaced with a whole range of dead-eyed characters from the children's locomotive TV show. The World Eater is none other than Thomas himself, with Gordon, James, Henry and a bunch more trains making the cut. The haunting atmosphere created by whistles and toots makes for one of the more strange pieces of gaming you will play.